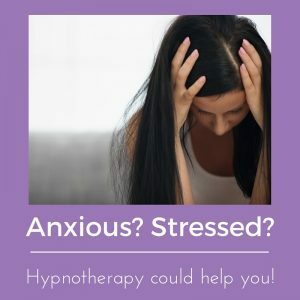 Do you want to control your anxiety and stress?Hypnotherapy can help! Do you want to control your anxiety and stress? As unlikely as it sounds, you can also control your anxiety and stress with simple, practical solutions. With so many things to do on our daily basis, many of us end up having a poor diet and lack of physical exercise, we end up getting stressed and very anxious, isn’t it? Sometimes I feel that with the pressure of my daily life, the anxiety increases and it is almost impossible to control but then I apply the hypnotherapy techniques in myself and my day ends flowing, smoothly and I’m in control of my emotions. As unlikely as it sounds, you can also control your anxiety and stress with simple, practical solutions. Among all the suggestions, the one I find the best and with the greatest results is hypnotherapy. How about checking how clinical hypnotherapy can help you fight anxiety and stress? I know that many of you should be reading this and thinking that clinical hypnotherapy is for some cases, but it’s not quite so. Clinical hypnotherapy has proven to be a great ally for modern life. It’s done with specialised hypnotherapists in the area. Hypnotherapy will analyse your life and help you understand which issues are most detrimental to you in your life. Problems with co-workers? Childhood traumas? Lack of emotional control? All this can contribute to anxiety and stress, so you have to find the cause first. Once this is done, the hypnotherapist will help you find a way to train your mind so that you gradually lose your anxiety. Mental training makes your emotional control bigger, meaning you will feel a change in all areas of your life. Clinical hypnotherapy is a reliable treatment. It has been scientifically proven that clinical hypnotherapy is one of the best techniques for those looking for long-lasting results and it can be done for a long time if necessary. The treatments are individual and personalised. In the beginning, it will be strange, you will realise that your mind will try to fight everything you are feeling at the time and in time, it will be more natural. Clinical hypnotherapy is also a great alternative for those who do not like that standard method of therapy, since it offers greater control of your feelings and emotions. During the sessions, in addition to the conversation with the hypnotherapist, a technique will be done, such as a mental exercise that will make your unconscious mind stronger and more focused on what you want and need. Clinical hypnotherapy is a tempting treatment, isn’t it? Being able to have greater control over the emotions is the goal of many people. If you think something is missing or you still have questions, talk to me!